On December 6, 2013, 23andMe posted a notice saying they are suspending health-related genetic tests to comply with the FDA’s regulatory review. People who bought the tests before November 22, 2013, will still have access to their results. 23andMe hopes to offer health-related results in the future. The ancestry-related genetic tests and raw genetic data will still be available now. Click here for the complete notice. On one level, the many genetic testing and ancestry services that currently exist are amazing and are opening incredible doors. For a good overview of Genomic Testing from the Centers for Disease Control and Prevention, click here. Until our legislators come to their senses and allow adoptees this basic human right, genetic technology at least sheds some light on otherwise dark corners. One of the most popular services, 23andme, provides a range of services related to genetics. As the website says, you can discover your ancestral origins and trace your lineage and find out what percentage of your DNA comes from populations around the world (East Asian, sub-Saharan African, British Isles, etc.). There is a family tree tool that allows connection with genetically-related relatives, and some astonishing connections among first/birth families have been made that way. 23andMe also allows you to find out inherited traits (such as lactose intolerance and male pattern baldness), carrier status of certain diseases (for example, cancer), health risks, and drug responses. It doesn’t include all diseases or all health risks, but it does provide some substantial information. As a result of the genetic health testing service, 23andMe recently received a warning letter from the Food and Drug Administration. You can see the complete letter here. (Y)our company’s website at www.23andMe.com/health (most recently viewed on November 6, 2013) markets the Personal Genome Service for providing ‘health reports on 254 diseases and conditions,’ including categories such as “carrier status,” “health risks,” and “drug response,” and specifically as a “first step in prevention” that enables users to “take steps toward mitigating serious diseases” such as diabetes, coronary heart disease, and breast cancer. Most of the intended uses for PGS listed on your website, a list that has grown over time, are medical device uses under section 201(h) of the FD&C Act. Most of these uses have not been classified and thus require premarket approval or de novo classification, as FDA has explained to you on numerous occasions. Some of the uses for which PGS is intended are particularly concerning, such as assessments for BRCA-related genetic risk and drug responses (e.g., warfarin sensitivity, clopidogrel response, and 5-fluorouracil toxicity) because of the potential health consequences that could result from false positive or false negative assessments for high-risk indications such as these. For instance, if the BRCA-related risk assessment for breast or ovarian cancer reports a false positive, it could lead a patient to undergo prophylactic surgery, chemoprevention, intensive screening, or other morbidity-inducing actions, while a false negative could result in a failure to recognize an actual risk that may exist. Health literacy is an issue in America, where people fail to follow instructions, misunderstand dosage, or get confused about a diagnosis. I’m sure there is some validity to the FDA’s position, though I also believe that most people who would use 23andMe would also consult with a doctor, who would then order additional tests. It’s been a huge source of information for adopted adults and for first/birth families in terms of creating connections, as well as allowing them to fill in previously missing information on medical forms. “Unknown” is no fun to post on a medical history. At this point, 23andMe is still taking orders for its kits, still posting numerous disclaimers about test results, and still urging consumers to see their doctors. Lawyers are looking into their response to the FDA. A change.org petition has been started. A petition to the White House is up and running. 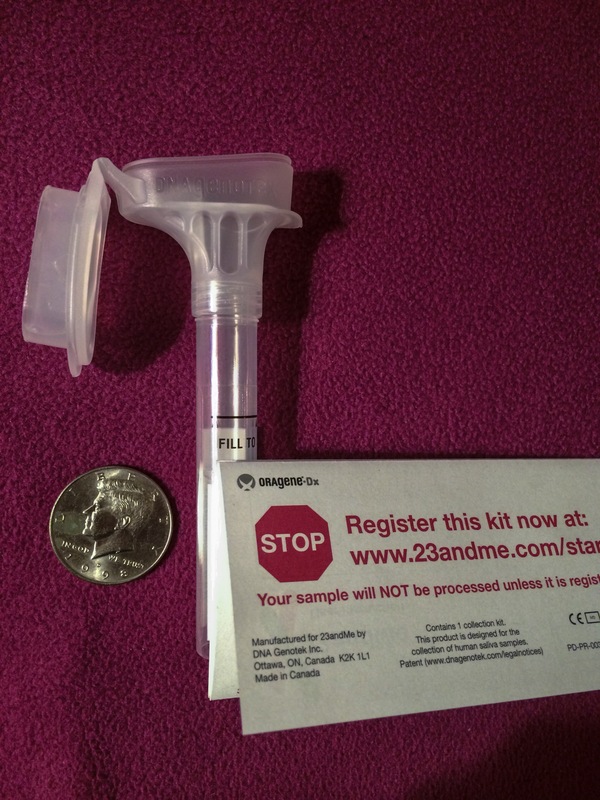 23andMe has 15 working days from November 22 to respond to the FDA letter. Let’s hope that 23andMe will be allowed to continue safely providing this revolutionary, life-changing service, to those who have few other options of accessing medical information. Let’s hope that other accurate, cost-effective services become available as well. And let’s continue to work toward adoptees having access to both their original birth certificates and their own medical history. DNA, Pandora’s Box, and Answers? As expected, the performance of Sun Mee Chomet’s play “How To Be A Korean Woman,” was powerful, funny, moving, and complex. I was in the audience at the Guthrie Theater in Minneapolis last Sunday afternoon September 22. I then participated in a “talk back” panel along with Sun Mee and with Michelle Johnson, a transracial adoptee (you may have seen her in the highly regarded Struggle for Identity); she’s now the CASA/Guardian ad litem Volunteer Coordinator for the 4th District Court in Minnesota. The topic of our panel was “Moving Forward: Grappling With Unknowns and Never-Will-Be-Knowns.” We talked about our perspectives on adoption issues such as search, reunion, identity, and the struggles to know, to understand, what it means to be adopted and to find answers. And then–what to do with the answers, which inevitably bring about more questions. It was such a privilege to see Sun Mee’s play again, which is now moving toward a well-deserved global tour in Europe and elsewhere. 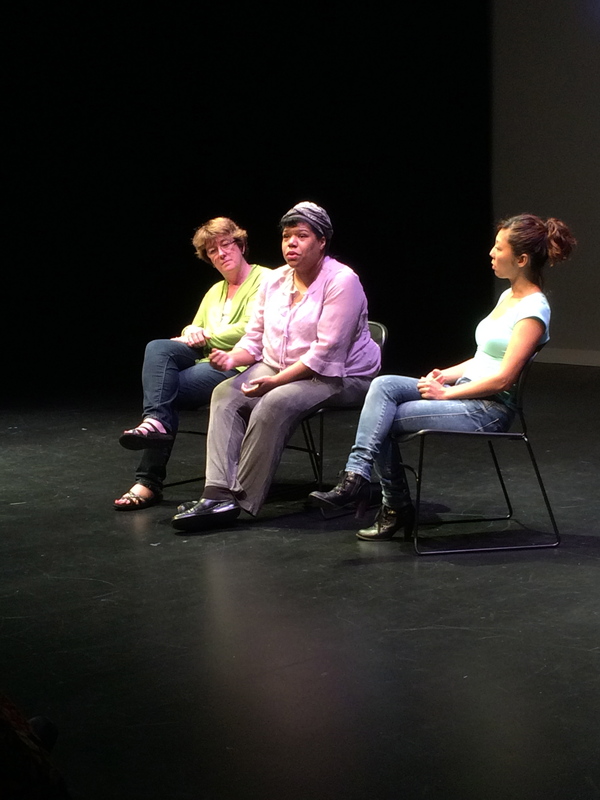 I was also honored to be on the panel with Michelle, whose mom, grandma, and sister also attended the play. Family is amazing. One of the questions about from the audience was about “unknowns” in an adopted child’s past, and how sometimes there seems to be no hope of finding information. I commented about the new DNA technologies, which (like so many issues in adoption) answer some questions and create new ones. The photo above is our family’s newly arrived kits. The way my sons and daughters responded to the idea of the DNA testing sums up the nature of adoption: each individual responds to it somewhere along a spectrum. Some adoptees are deeply, achingly curious about their roots and origins. Some are sort of interested, and maybe will be more so when they marry or have children. Some have no interest, and that may be due to fear or contentment or something in between. Each of my now young-adult children has some degree of information about their first families. One has reunited. But none has a detailed medical history. That’s one of the adoption puzzle pieces that the DNA tests can partially solve. We decided to use 23andMe for the testing.The first kit is $99, with discounts on additional kits. It’s an easy process: when your kit arrives, you register it online, you fill your funnel with saliva, you send it back in the pre-addressed box it arrived in, and then you get results emailed in about 4-6 weeks. I’ve paraphrased and rearranged information from 23andMe below. Be sure to check out their detailed information on the 23andMe webpage. Health Risks: You will find information about how your genetics influences risk for complex diseases like type 2 diabetes and colorectal cancer. We provide an estimate of your risk, using the 23andMe Odds Calculator. These estimates do NOT take into account personal or family history or your lifestyle or environment. There may also be additional genetic factors, yet unidentified or unavailable to our technology, that also contribute to risk for these conditions. 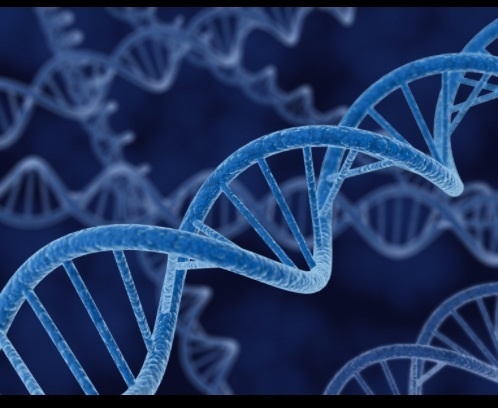 Inherited Conditions: You will learn whether you have genetic variants linked to rare genetic diseases. While most common diseases are complex and result from genetics as well as environment, some conditions — like cystic fibrosis or sickle-cell anemia — are directly caused by genetic variations, also known as mutations. You might be also be a “carrier” for that condition or mutation. It is still possible to be a carrier for a condition even if your results indicate that you do not have any of the reported mutations. Drug Response: You will find information about how your genetics may influence your sensitivity to certain drugs, risk of side effects or general effectiveness. Always work with your health care provider to determine whether a drug or medication is right for you. This is all, admittedly, very serious and daunting stuff. I wrote about the complexities of DNA and adoption here and about DNA and outrage here. Is getting this information little more than opening a Pandora’s box of disease possibilities? If my child finds out he or she has a great risk of cancer, is that helpful? I don’t know. I am going to make sure I go over with each of them what the information will provide, and leave it to them as to whether they want to be tested, want to read the results, and want to do anything with the results. At a minimum, they have control over this decision, unlike many in their adoption journey. I’ve known adoptees who have struggled with difficult medical conditions, who endure pain and misdiagnoses and wrong medications and debilitating side effects. If they’d had their medical history (including health risks, inherited conditions, and drug responses), maybe much of the pain could have been avoided, the treatments done in a timely manner, and less time and money wasted. Knowing you’re a carrier of certain genetic diseases seems important; at least it seems you should have the option to know. The medical information creates ethical questions, I realize: questions that can affect future generations. Information can be power. I like the idea of being able to work more closely with my health care provider to manage my health in as proactive a way as possible. It’s big stuff. At the bottom of Pandora’s box was Hope. That seems important too. In a follow-up post, I’ll be writing about 23andMe’s information about ethnicity and ancestry–much less ethically complex, perhaps, but still challenging. Imagine that some of these nice, older ladies are fundamentally denied two basic civil rights: access to their own original birth certificates, and knowledge of their medical histories. Imagine that your mother or grandmother has no idea what contraindications exist for medications. Imagine your grandma’s painful medical condition that could have been easily prevented with proactive treatment. I tend these days to first think of adoptees as being not children, but young people, because of my own young adult children. I need to be more inclusive in my thinking and acknowledge more fully the adoptees in their 40’s, 50’s, 60’s, 70’s, and beyond. That’s especially relevant around medical histories. I posted yesterday about DNA testing and its value to adoptees. I received an absolutely on-point comment from TAO, a blog which you should follow. Now. Denial of medical histories is an outrage. Knowledge of one’s medical realities is so taken for granted by those of us who don’t have to think twice about it. Knowledge of one’s medical history can be a matter of life and death. Certainly that knowledge can hugely impact the quality of one’s life. And yet there are hundreds of thousands who ARE NOT ALLOWED to have this information. Yesterday I was polite, and provided DNA testing information as if I were giving out lovely little flowers to brighten your day. I have no doubts that DNA testing is valuable, and provides great information. But today, I am angry. US and international adoptees, whether they were adopted today or 75 years ago, should have access to their original birth certificates: there remains no doubt in my mind about that. They should also have as full, accurate family health history as possible. It’s an outrage that they don’t, and that they have to struggle to get it. I would love to see more adoptive parents, grandmothers, grandfathers, adoption attorneys, adoption agency workers, and medical professionals joining in outrage. Excellent point. Genetic tests are helpful on some level, no doubt. But genetic tests, as they exist now, are no substitute for a thorough, accurate first family health history. Access to information about our DNA is now easily available. This genetic information is wonderful and daunting for all of us, and perhaps especially valuable for adoptees, whether US or international. It’s relatively inexpensive ($99) now to find out what percent of your DNA comes from what population (Sub-Saharan Africa, Europe, South America, etc.). Adopted people of mixed background can get an accurate breakdown of information that they may never have received nor otherwise could find out. A friend of mine, adopted from Colombia, found out she is Mayan, Middle Eastern, and Spanish/French. You can also find out about medical matters, such as whether you are a carrier for cystic fibrosis, Tay-Sachs disease, sickle cell anemia, and many more. You can learn your genetic risk for diabetes, macular degeneration, Parkinson’s, and other serious conditions. You can discover how your genetic makeup could impact sensitivity to certain medications and drugs, such as Plavix and Coumadin. Because the DNA results are all part of a global database, it is possible to find previously unknown relatives, from close family to distant cousins. In terms of search, for adopted people, this is huge. I drew the information above largely from the website of one of the most popular sites, www.23andme.com. The “23” refers to the number of pairs of chromosomes we humans have. The testing is done via saliva, about a half teaspoon’s worth. Young children can be tested; the kit is modified for folks who can produce saliva but not spit. Adoptees are often missing their own medical histories. Every visit to a doctor’s office can be a reminder of loss, guesswork, and uncertainty. Writing “Adopted” and crossing out the Family History section can be frustrating. DNA testing eliminates some of the mystery, and fills in some of the blanks. Of course, this genetic information opens a lot of potentially complex new doors. Finding out about potential future medical conditions could be frightening. I still will say, though, that information is power. These days, we all have to be really strong advocates for our physical and mental health. Genetic testing gives us more information to work with, and allows us to engage our health care providers more effectively. I’ve offered to get the testing kits for each of my (young adult) adopted children. They are considering it, and I can understand the need to take some time to decide. I’m going to get the testing done on myself. I’m not adopted, and I feel pretty confident that my ethnicity will be fully Irish. My mom died at 74 from cancer; she suffered with interstitial cystitis for years. Dad, now 83, is in great physical health, and also in the early stages of Alzheimer’s. So I have some sense for the possibilities, and, at this point in my life, would rather have the information than wonder about it. Everyone should have that option.